Jay is a founder and managing partner of Crystal Rock Capital Management, LLC. He is Crystal Rock’s Portfolio Manager and has analytic responsibilities for consumer-related industries. Prior to forming Crystal Rock, Jay created and managed Credit Suisse First Boston’s Global Valuation Strategy Group from 2000 through 2005. The group provided insights into shareholder value creation for corporate boards and strategic decision makers, institutional equity investors, and CSFB’s global equity research department. Jay was also Chairman of CSFB’s Focus Stock List. 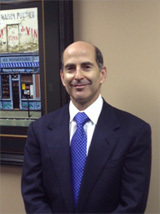 Prior to joining CSFB (in late 2000 through the DLJ merger), Jay was a managing director at Lincoln Capital Management Company (1992 – 2000), a privately held institutional investment manager. Jay was a member of LCM’s management committee and was responsible for investing in several consumer and leisure sectors. While at LCM, Jay developed and implemented a proprietary market-based DCF valuation discipline. Jay was twice voted “Best of the Buy Side” by Institutional Investor magazine’s survey. Jay’s investment career started at Kidder, Peabody & Company in 1982, where he was responsible for covering the Household Products and Cosmetics industries. He was voted onto the Institutional Investor All-America Research Team every year from 1985 to 1991, and was the top-rated Household Products analyst in 1990 and 1991. Jay holds an M.B.A. from the University of Chicago’s Graduate School of Business and a B.S in Economics from the Wharton School at the University of Pennsylvania. Jay holds the Chartered Financial Analyst designation and is a Certified Public Accountant.